The Media Review Network (MRN) express the sentiments of many who advocate changes in the political leadership on the African continent, especially those who choose to occupy the helm in perpetuity. 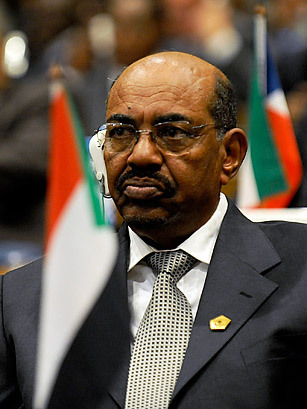 Omar-al-Bashir of Sudan is one such ruler. He has been head of State since 1989 when he led a military coup to topple the democratically elected government of Prime Minister Sadiq –al- Mahdi. In December 2018 the Sudanese people went on to the streets to express their anger and outrage and have demanded that he step down. Despite Bashir’s stubborn refusal to quit, he has become the latest casualty of the justifiable discontent of the civilian population. The military has ousted him and he has been placed under house arrest. The country will be ruled by a Military-led transitional government for two years, as pronounced by the Minister of Defence, Ahmad Awad Ibn Auf. Latest indications are that these arrangements have been rejected. The message is clear: “Not another Military Dictatorship”. “Guard your revolution” is the warning from the Sudanese Professional Association (SPA). The MRN is mindful of the fact that the African Union (AU) cannot condemn the military coup in Sudan. The present Chairperson of this toothless African body is Abdel Fatah el Sisi, himself a beneficiary of a military take-over in Egypt. Recycling of military dictators is a norm within the body politic of Africa.